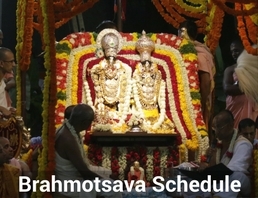 Brahmotsava is an annual festival celebrated for 12 days in the month of Chaitra (April – May) to commemorate the appearance of the Deities on Hare Krishna Hill. 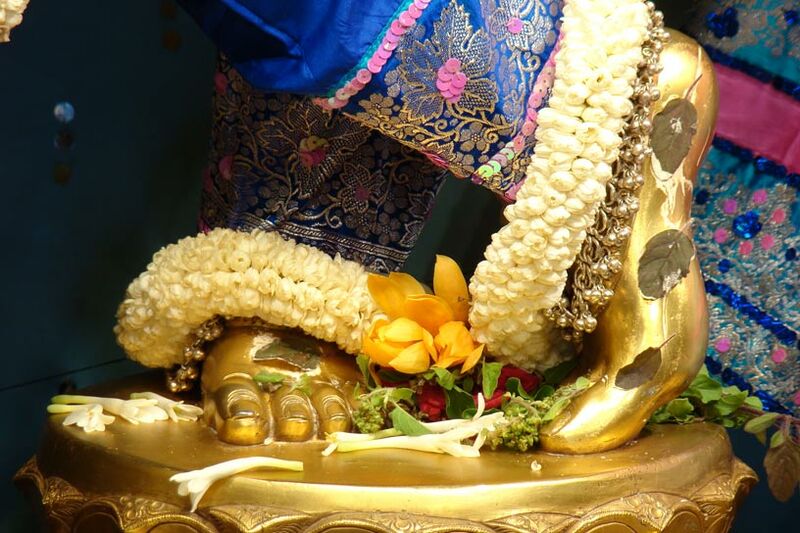 The Supreme Lord descends in the form of Deities so that we get an opportunity to serve Him. The Lord is transcendental to our mundane senses. He cannot be seen with our present eyes, nor can He be heard with our present ears. To the degree that we have entered into the service of the Lord or to the proportion to which our lives are freed from sins, we can perceive the Lord. 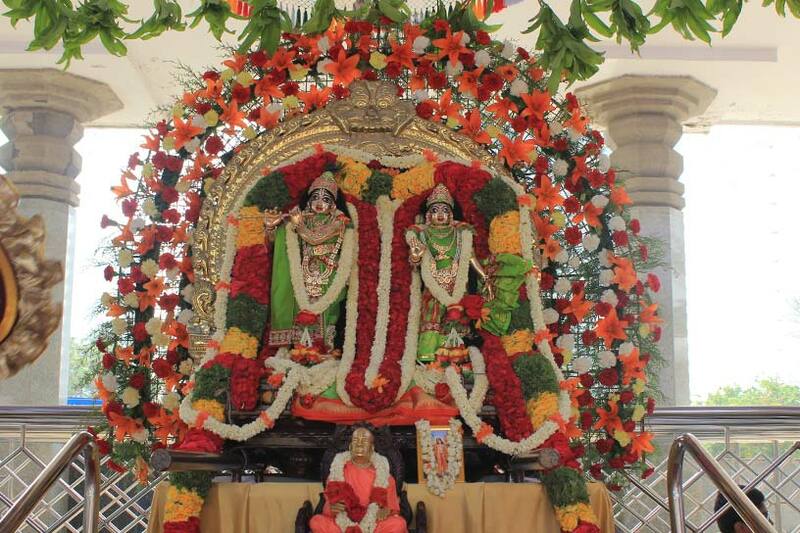 But even though we are not free from sins, the Lord is kind enough to allow us the facility of seeing Him in His Deity form in the temple. 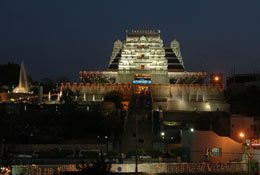 In 1997, the Supreme Lord descended on Hare Krishna Hill to bestow His mercy upon us and this occasion is celebrated by the devotees as Brahmotsava. 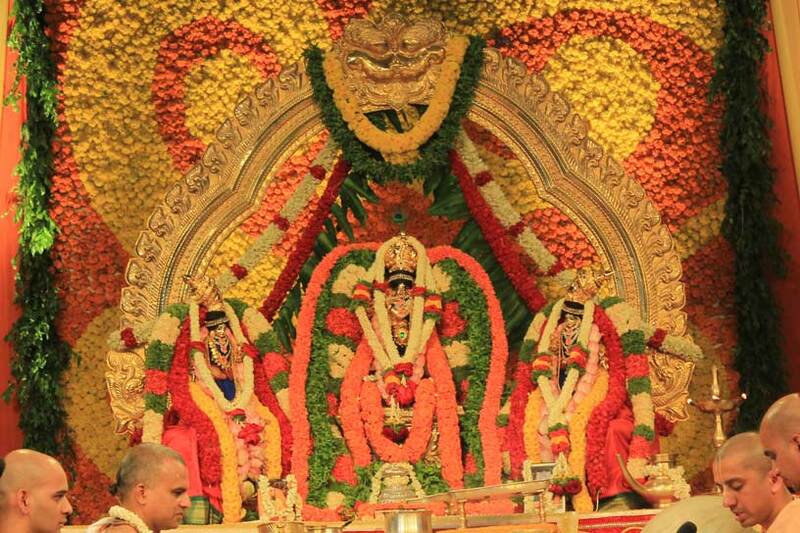 Brahmotsava is celebrated in all Vaishnava Temples with grandeur; especially the Srivari Brahmotsavam celebrated in Tirumala is by far the biggest. 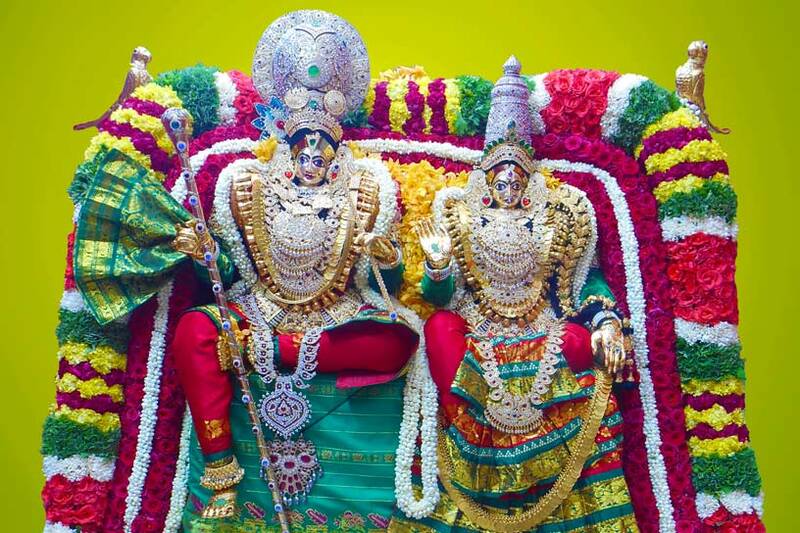 Lord Venkateshwara or Sri Balaji is taken out in a procession every day on various vahanas (vehicles) like Adi Sesha Vahana, Hamsa Vahana, Simha Vahana, Kalpa Vriksha Vahana, Garuda Vahana, Hanumad Vahana, Gaja Vahana, Surya Prabha Vahana, Ashwa Vahana, etc. 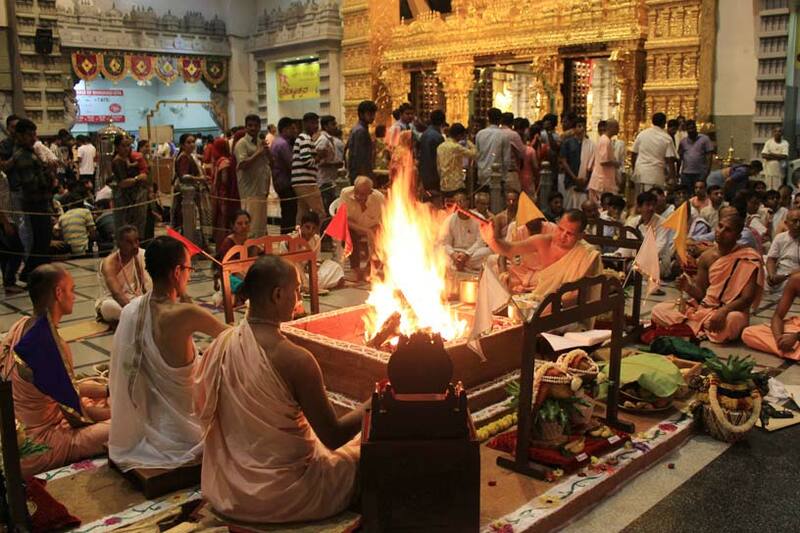 The celebrations attract lakhs of pilgrims from various parts of the world. 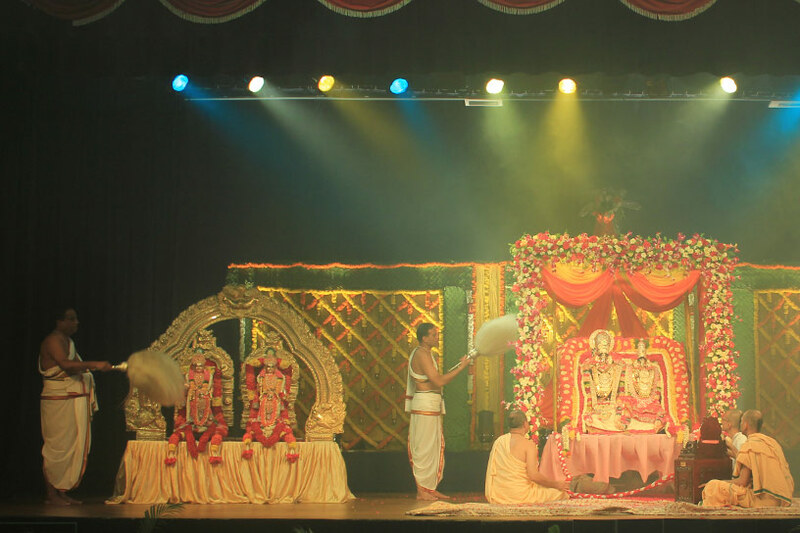 At ISKCON Bangalore Sri Sri Radha Krishna Temple, the Brahmotsava festival begins with Dhvaja Arohana, hoisting the Garuda-dhvaja (flag carrying the emblem of Garuda). 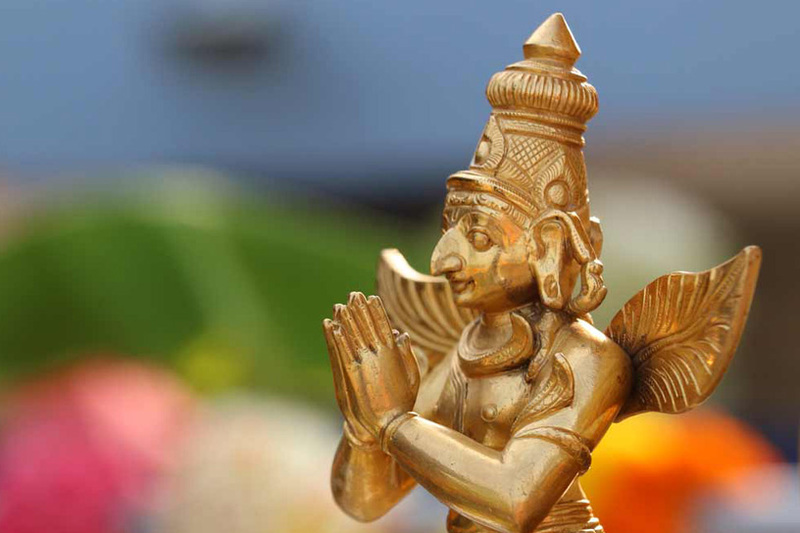 On the evening before Dhvaja Arohana, the Garuda-dhvaja is worshiped and a Vainateya Homa is performed. 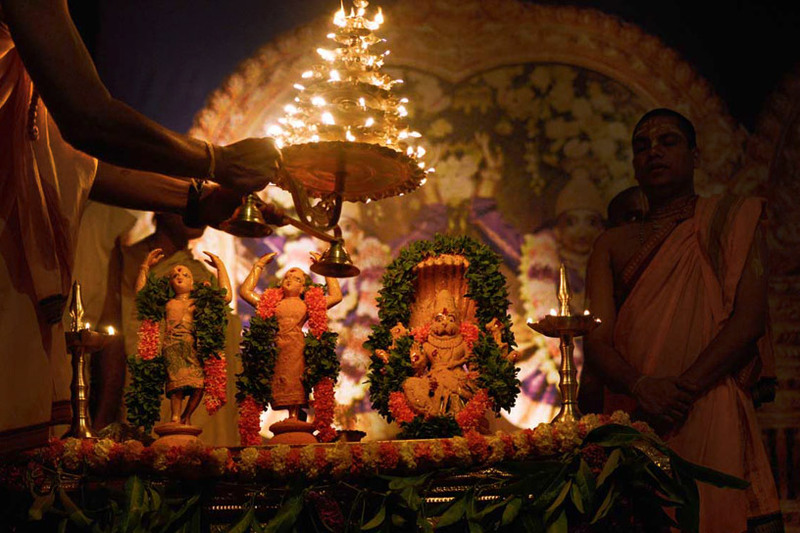 Vishwaksena-aradhana, dvara-puja, mrit-sangrahana, ankurarpana and raksha-bandhana are the other major rituals on that evening. 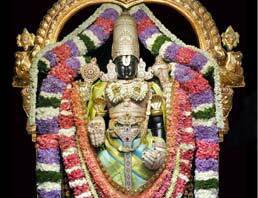 During Dhvaja Arohana devotees invite various demigods (devatas) to come and participate in the festival. 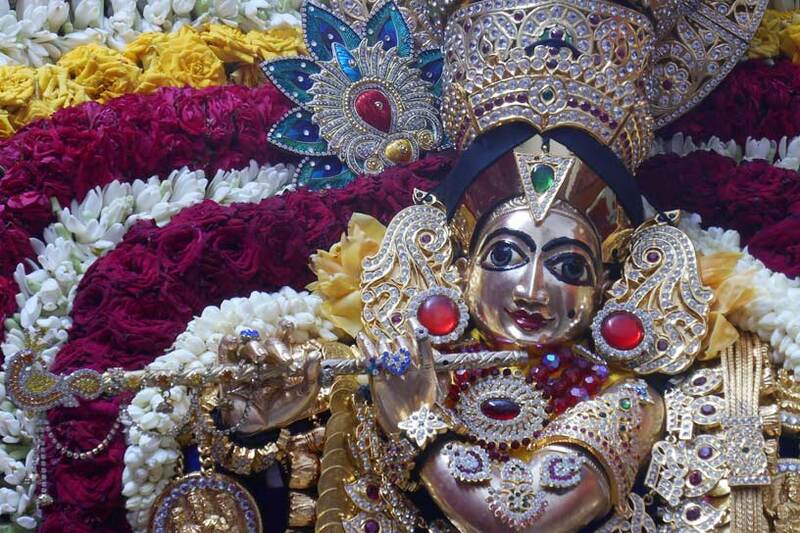 Every day, the utsava Deities of Sri Sri Radha Krishnachandra are adorned in various special alankaras and taken in a procession around the temple on different Vahanas. 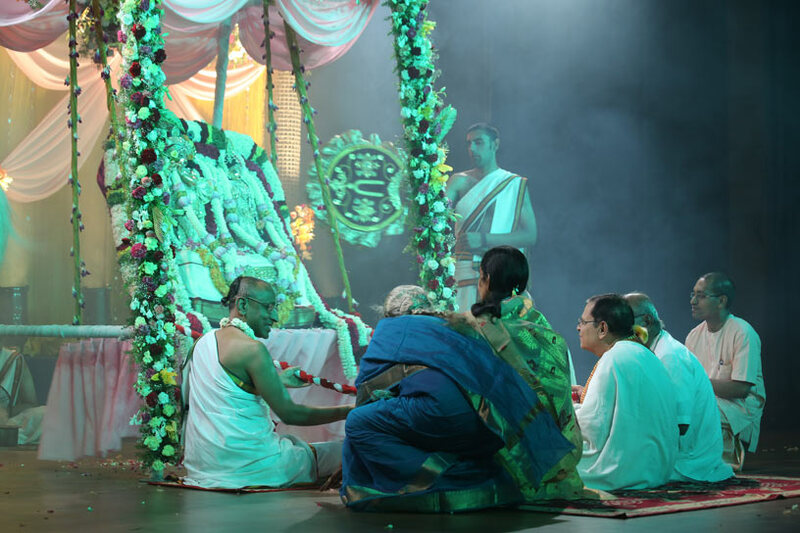 The Vahanotsava is followed by Nritya Seva (dance performance by renowned artists for the pleasure of Their Lordships) and Dolotsava (the swing festival) accompanied by Sangeeta Seva performed by the devotees. 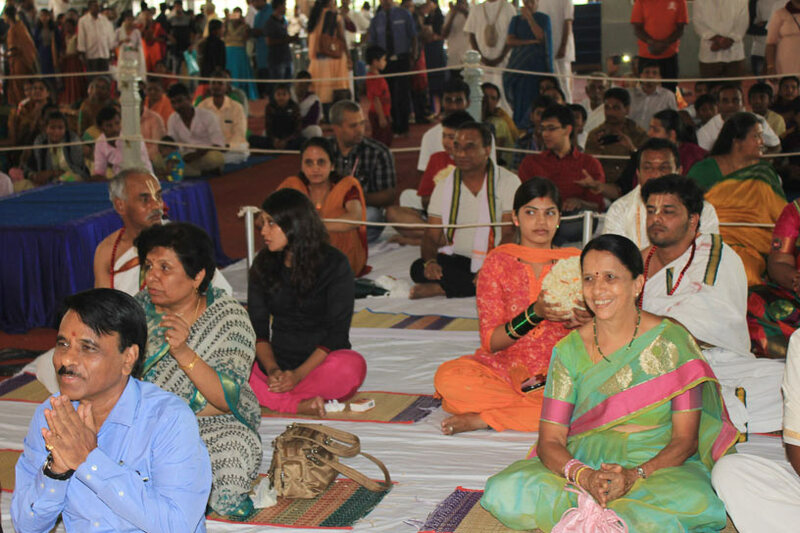 The celebration provides a unique opportunity for devotees to participate in the festivities and experience the divine bliss. 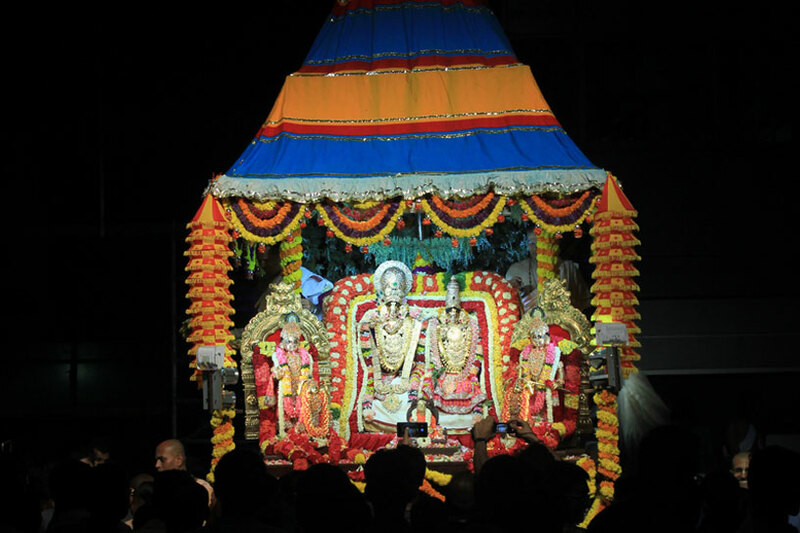 Maha-pallakki, Brahma Ratha, Pushpa-pallakki, Churnabhisheka, Theppotsava, Chakra-snana are the other major events during the festival. 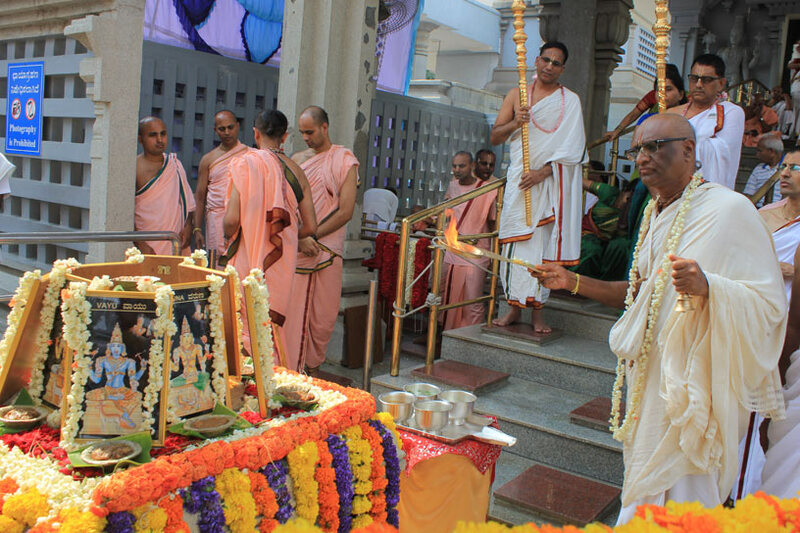 The festival culminates with Dhvaja Avarohana (lowering the Garuda flag) and maha-samprokshana. 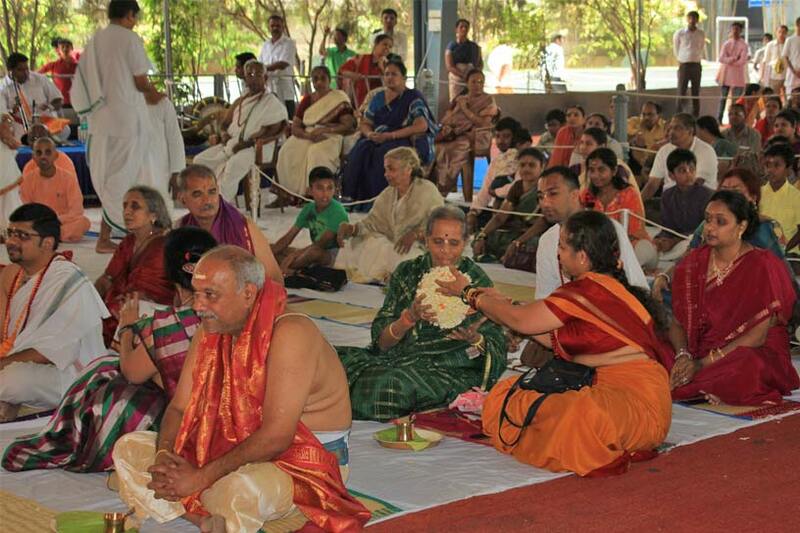 Read our photo essay to get a visual experience of the colorful festivities of Brahmotsava. 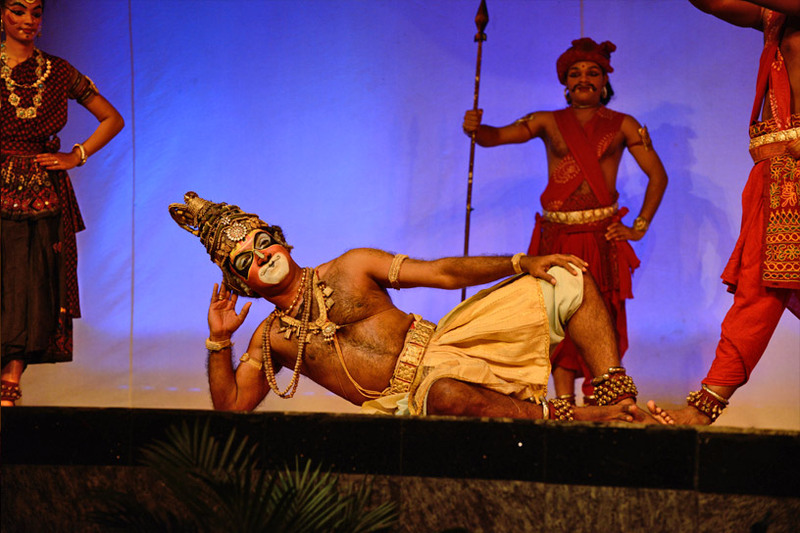 Do not miss the opportunity to participate personally in the festival.